The search for adrenaline has no boundaries, and today we are exploring what Southeast Asia has to offer in places like Thailand, Indonesia, Burma, Singapore, Malaysia, French Polynesia and the Philippines. 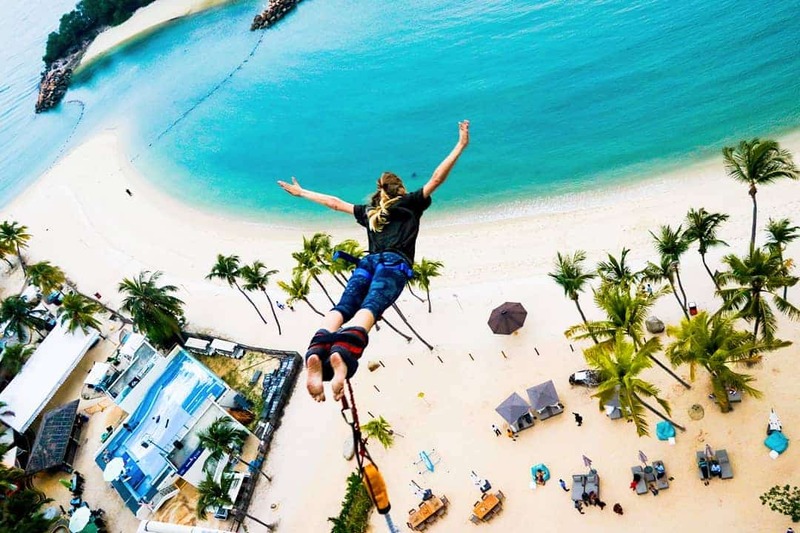 Southeast Asia is home to dream destinations offering beautiful activities to suit the various appetites of thrill seekers. Here’s an overview of some of the best experiences to try in Southeast Asia if you’re after a healthy dose of adrenaline. When it comes to the best surfing destinations in the world, Bali often comes up trumps, and yet, this small Indonesian island has many other arguments to its credit too. For example, you can explore a tropical rainforest on its rushing wild water during a rafting adventure down the Ayung River in Ubud. Weaving through the centre of Bali’s spiritual heart, this river flows through an evergreen jungle and offers breath-taking challenges at every turn. Ayung, Bali’s longest river, stretches for 68.5 km from the northern mountain ranges across the Ubud highlands. Navigate around incredible stone carvings and beautiful waterfalls, while your guide helps steer you through the 25 rapids of the river, amongst the lush rainforest. 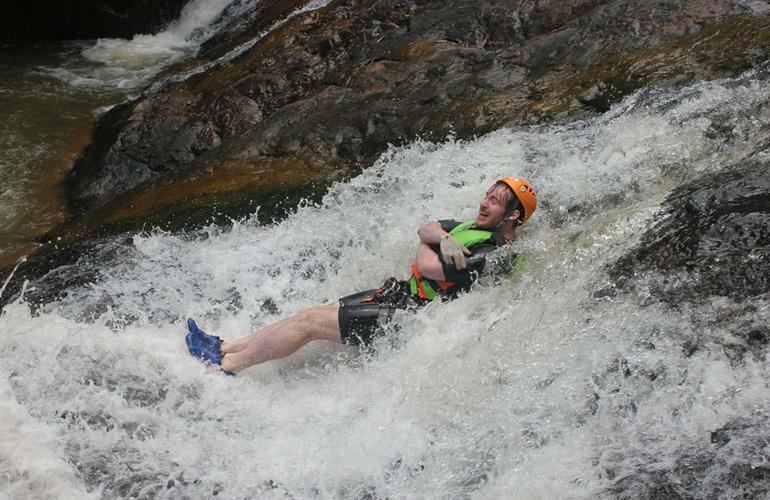 Here again, we have a must-see destination if you keen on water sports. Located in the south-east of India and surrounded by the Indian Ocean, Sri Lanka boasts multiple sublime landscapes, between ocean and mountains, offering a wide range of extreme sports all over the island. 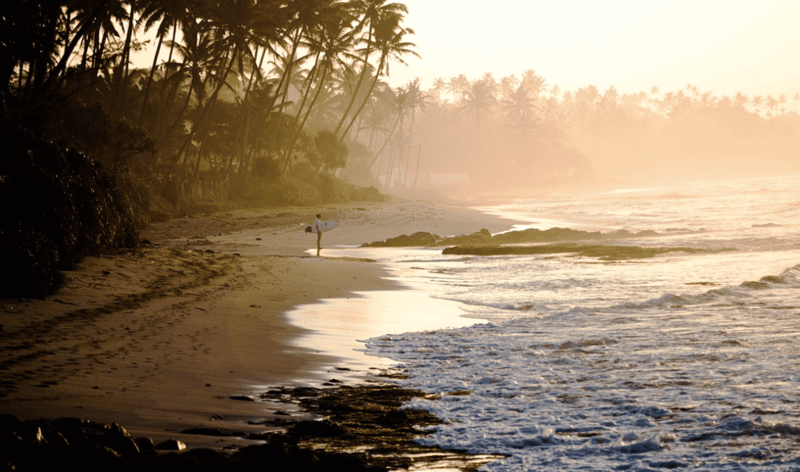 The geographical situation of Sri Lanka makes it possible to have access to ideal wave conditions throughout the year, with water temperatures measuring at a balmy 28°C between December and April. Some of the top surf spots are Hikkaduwa and Arugam Bay, both suitable for surfers of all levels, whereas the spots near Ahangama, Midigama and Mirissa are reserved for experienced surfers, because the waves here can be dangerous. 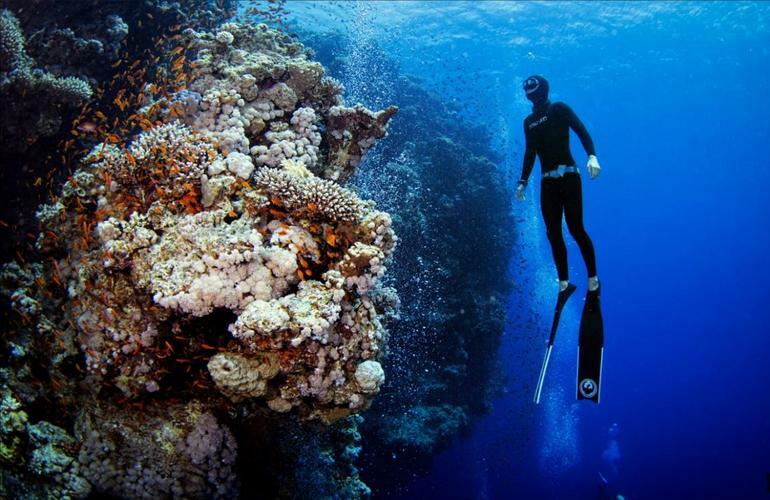 If you’re a scuba diving enthusiast, the seabed of Sri Lanka is renowned for its richness in aquatic fauna and flora, with the translucent waters acting as home to marine creatures of all kinds. Each activity offers more than just a rush, at the same time you can discover a rich culture full of history and experience the diversity of Sri Lanka’s landscapes, all in a secure environment. 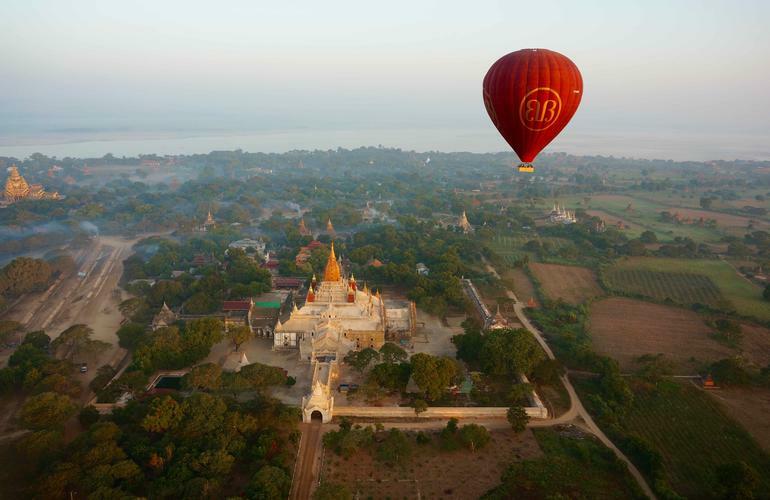 One of the best ways to see the temples of Bagan is to do it from the sky, so how about watching the sun rise over Dhammayangyi Temple on a scenic hot air balloon ride. As you ascend, the magnificent temples of Bagan begin to appear, offering a truly panoramic perspective of this ancient wonder of the world. As the mist rises through the dense rainforest, the speckled light reflects on Myanmar’s monuments, adorned with more than 400 distinctive Buddhist temples. The 45-minute flights take place between mid-October and mid-March and depart at sunrise or sunset, drifting across the plains of Bagan over the temples and pagodas with the Irrawady and mountains in the distance. Đà Lạt, located 1,500-metres above sea leave, was built to become a tourist destination by the French in the early 20th century. Embark on a canyoning adventure or rafting trip down the Da Don River and you’ll begin to understand why Đà Lạt is known as the “City of Eternal Spring”. 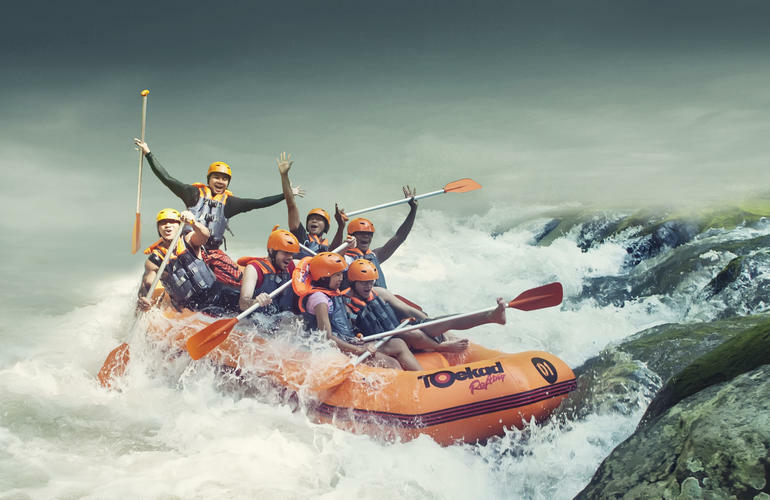 Explore its lively class IV raging waters on a rafting adventure in the Vietnamese highlands, or set off on an canyoning escapade that’s unlike anything you’ve ever experienced before. 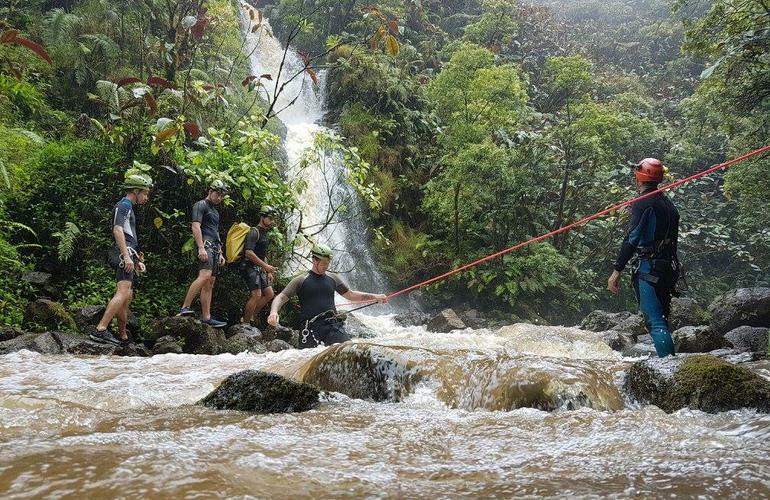 Test your vertigo next to a 30-meter waterfall in the heart of the tropical rainforest, Datanla truly is an extraordinary day out that’ll see you abseiling down the ravines, swimming with the current and adventuring into the unknown! Also known as “Pearl of the South”, Phuket is the southernmost province and the largest island of Thailand. The island is located in the Andaman Sea, east of the peninsula of Malaysia, and boasts sumptuous mountains that surround beaches of fine, silky sand with waves crashing in the crystal-clear waters. North of Phuket, you’ll find Sirinat National Park, home to both the sea and the jungle and known for its white sand beaches and protected sea turtles. The pristine rainforest is ideal for snorkelling and canyoning thanks to the natural pools and the famous Ton Sai waterfall. One of the excursions we highly recommend is scuba diving around Phang Nga Bay, where you’ll come across the famous Ko Tapu, a.k.a James Bond Island. 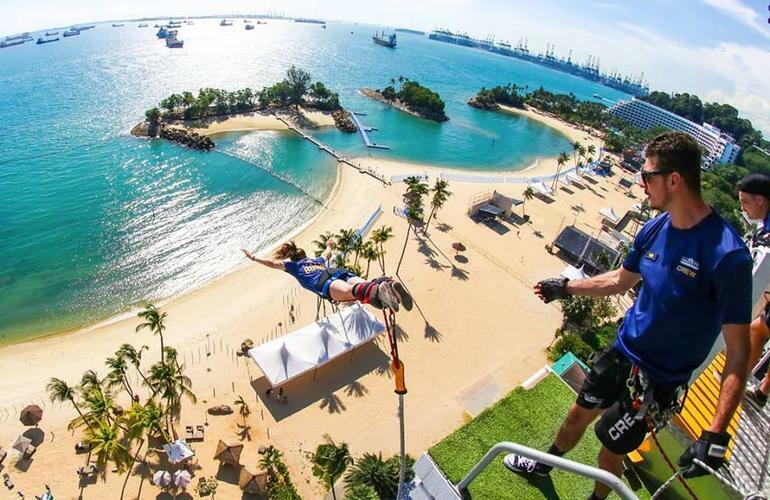 Sentosa is one of the 64 islands in Singapore and on this quaint 5 km² island there is an impressive amount of extreme activities of varying degrees. In addition to a huge 2 km long beach, Fort Siloso, two golf courses and a Universal Theme Park, this little piece of paradise offers plenty of opportunities for outdoor sports fans in an idyllic setting. Whether it’s a canoe-kayak ride or a downhill bike ride, there’s no doubt you’ll find dreamy landscapes to admire along the way. 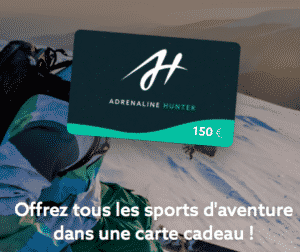 If you’re hungry for an extra dose of adrenaline, take a leap of faith from 47-metres up and try bungee jumping with AJ Hackett, the world leaders in this sport for over thirty years. If a solo jump doesn’t interest you, how about strapping in to the 3-person swing for a serious dose of adrenaline and feel the rush as you reach speeds of up to 120km/h! Next, let’s check out what Tahiti has to offer, the largest and most known island in French Polynesia. Tahiti is an archipelago in the South Pacific Ocean, world renowned by surf lovers because it’s home to the iconic spot of Teahupo’o the renowned (and terrifying) left-hand breaking wave. Of course, it is not only water sports that dominate the spotlight in this paradise, there are the famous lava tunnels of HITIAA (Lavatubes) and its magnificent sculptures ready to be discovered while snorkelling or canyoning. These lava tunnels were formed in the volcanic era, during the creation of the island, with rocks and vaults having been dramatically carved by nature over hundreds and thousands of years. It may be dark and wet inside the tunnels, but the decor will leave you speechless! Located between the Sulu Sea and the Philippine Sea, Cebu is a beautiful island that stretches 196 kilometres from north to south. This Filipino island may be narrow, but it is home to a vast and varied terrain, with mountains over 1000 meters high for hiking, sandy beaches for water sports and coral atolls for diving. 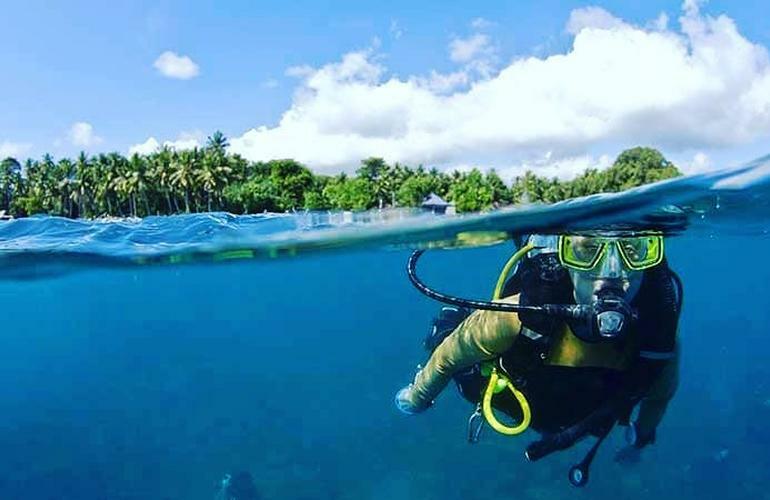 If you’re new to diving or snorkelling, but want to get to grips with the sport, Cebu offers you the chance to become certified diver or free diver through PADI or AIDA courses. Most of the water excursions take place at the northern tip of the island, on the Bantayan and Malapascua Islands, and southwest of Moalboal. For all the animal lovers out there, how about embarking on a snorkelling or diving adventure with spectacular whale sharks, the gentle giants of the sea, and observing them in their natural habitat. You can also get up close and personal, depending how brave you feel, with Thresher sharks and lots of other exotic and colourful fish. Dubai is a city and emirate in the United Arab Emirates, located on the Persian Gulf and home to ultra-modern and superfluous architecture. In addition to its man-made islands, you can find the highest skyscraper in the world, the Burj Khalifa which rises to 830 meters, a real indoor snowpark and the most luxurious hotels in the world. 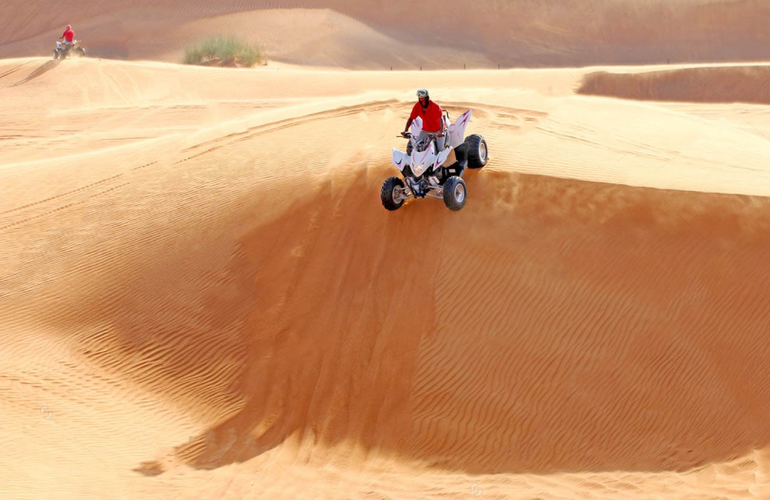 For outdoor sports fans, explore the city of Dubai and its red dune desert on a quad bike. Rendezvous in Lehbab, where you’ll find yourself in a desert surrounded by beautiful dunes which are ready to be tamed, and after the ride, sit back and enjoy an Arabic coffee in a Bedouin tent. Truly a trip worthy for a king!